The three councils, Cheltenham, Tewkesbury and Gloucester City, working together on a Joint Core Strategy for housing development for 20 years (JCS) finally issued their consultation on their preferred option. Despite enormous opposition and lengthy arguments within the Council, they decided to continue to investigate a plan for 33,000 new houses including 4,850 on our Greenbelt land. This is an increase of 24.3% in housing stock when in the ten years up to the 2011 census the population of this area increased by 5.7%. After many weeks of work, we completed our formal response to the JCS (Joint Core Strategy) preferred option in December. Thank you to so many local supporters who responded directly to the Consultation. Without so much support our voice would certainly not be so strong. Our key arguments were that the volume of housing was over-estimated by 10,000 and their proposal for Greenbelt Urban Extensions, include one at Swindon Village, was not a necessity but a commercial choice influenced by developers, We gave the JCS term clear evidence to support our arguments and came up with practical alternatives for housing. So – what’s the good news? We have had huge amounts of publicity in local press, radio and TV and also the issue has been discussed nationwide and in Parliament. We are delighted that after much pressure, an all-party Parliamentry Group has been set up to discuss the issue of greenbelt protection. We have been invited to give evidence at that group. Our MP Laurence Robertson and also Cheltenham MP Martin Horwood are both part of that group and we continue to liaise closely with them. There is much noise nationwide that the current legislation under the National Policy Framework needs to be changed as it is biased towards development. With the continued pressure we are giving and the volume of noise on this issue it does seem that the JCS team, our Politicians and decision makers may actually be starting to absorb are reasoned arguments. The JCS team are analyzing all the responses; they expect to issue a pre-submission of their final document in Spring 2014 and the final version to the Secretary of State in Winter 2014. We will continue to work with our politicians to take this issue right to Westminster decision makers AGAIN! Why do we even need a Joint Core Strategy? We do need a plan. Current legislation would allow a developer to apply for planning permission anywhere and in the absence of a local plan, a planning application on greenbelt might very well be allowed on appeal. However, our argument is that it must be a reasonable flexible plan that can be adjusted as the population changes and housing needs change and above all benefit the existing population in the area as well as any new-comers. As soon as we hear anything from the JCS team we will be sure to react and launch into action again. In the meantime we continue to collect additional evidence. Join us on our annual countryside walk on Sunday 18th May. We will be in touch directly and in the Village News with next action steps soon. 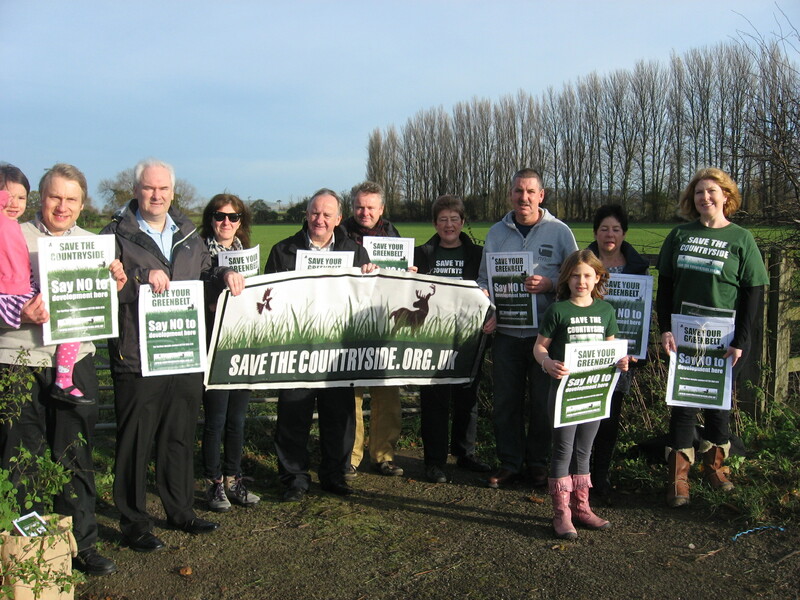 Laurence Robertson MP continues to support Save the Countryside team in their campaign to protect Greenbelt land around Cheltenham. Laurence Robertson, MP had a busy day visiting rallies around the area, meeting concerned residents about the threat to the Green Belt, in their areas, posed by the house building numbers in the Joint Core Strategy. Mr Robertson, visited Uckington to meet residents of Uckington and Swindon Village who added their opposition to the proposal to build 4,850 homes in their fields. A scary future for Swindon Village? Below is our leaflet due to hit Swindon Village imminently. Click on the leaflet to get the PDF version which you can read or please print and spread the word. The draft JCS which was release to the public amid much controversy it now available for you to comment on, it is available for a six week period of public consultation, between Tuesday 15 October and Tuesday 26 November 2013.
! !Deadline now extended to 13 December!! Why the council is planning to build 800+ houses in the AONB (Area of Outstanding National Beauty) and special landscape areas. How the current infrastructure, in particular roads will be able to cope. Anyone who experiences the traffic jams occurring on Shurdington Road and on Princess Elizabeth Way will wonder how. If the Officers and Elected Members do press ahead with plans to build on the green belt it will be done through choice and not necessity. Please add you name to our petition to Save Cheltenhams Greenbelt! It was with dismay that I heard that Cheltenham Borough Council voted through the Joint Core Strategy which ear marks green field and greenbelt land around Cheltenham for massive housing development. The Lib Dems and the Tories have both promised to protect the greenbelt yet they vote through a plan to build on it, and have failed to listen to consultations. The people we vote for are both spineless and powerless. Planning inspectors, the government and developers lawyers can easily overturn their objections. Call this localism? The housing target has been shown time and time again to be based on unrealistic estimates of economic growth and immigration to the area. Yes, we need homes but for local people but we need to develop brownfield sites first, something the council has failed to promise. 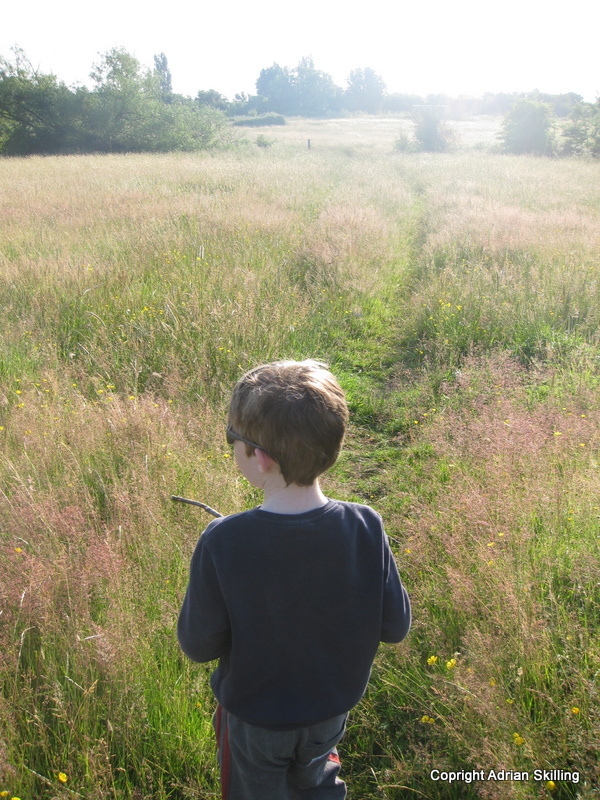 I commonly walk the fields around Swindon Village before breakfast with my 7 year old son, he loves it, we learn about nature and experience the beauty together. The loss of green space will be felt most sorely by his generation. We need to start valuing quality of life rather than GDP. Please sign our petition http://epetitions.direct.gov.uk/petitions/52608.